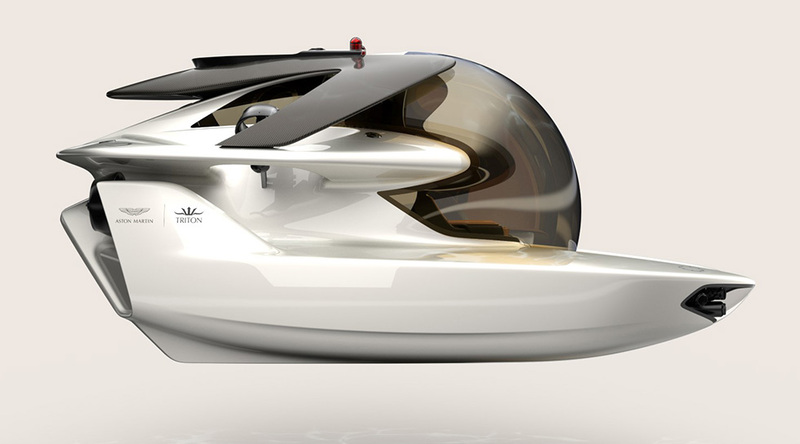 The side design of the submarine invokes the image of James Bond's Q-Boat from The World Is Not Enough. 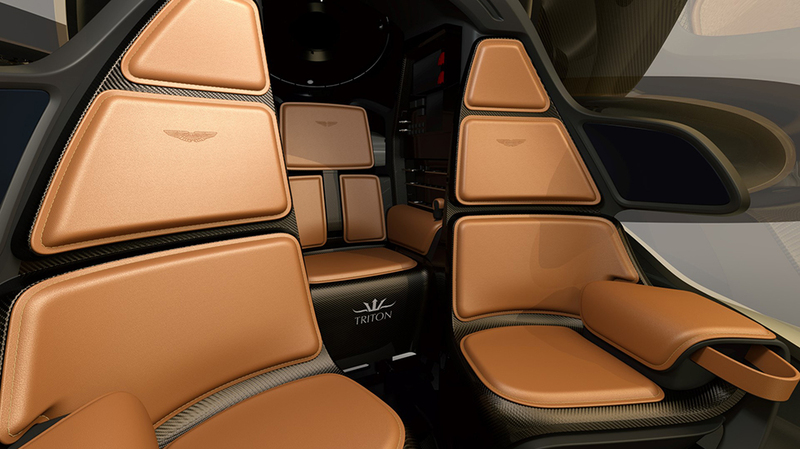 Since the announcement of the creative collaboration in September 2017, Aston Martin and Triton have worked meticulously to refine the detailed design of the submersible’s hydrodynamics, body styling and luxurious interior packaging. For a vehicle to wear the iconic Aston Martin wings, it must be equipped with all the performance, beauty and elegance one has come to expect from the British marque. 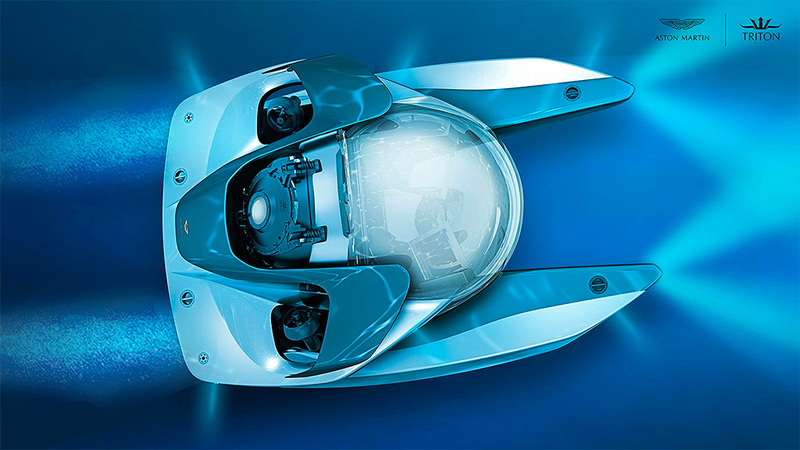 To earn Tritons's signature trident, the submersible must be safe, reliable and offer its passengers near 360º visibility. 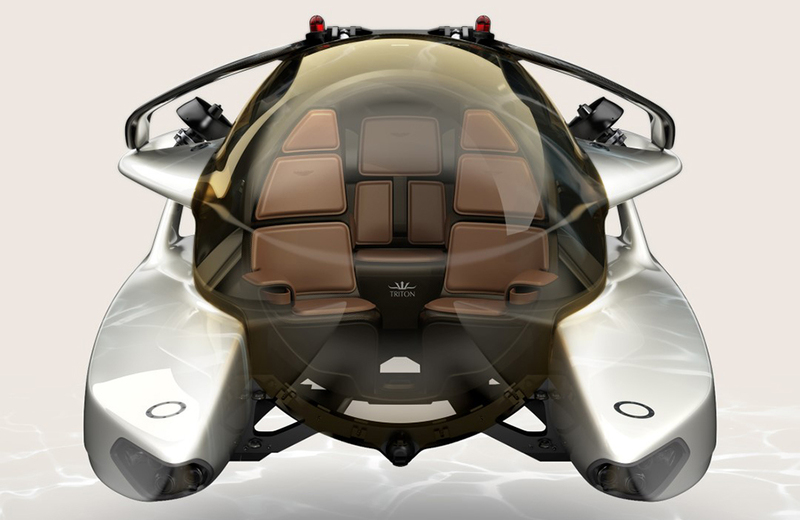 The final design of the submersible is testament to the extraordinary attention to detail of both design teams and reflects the complimentary values of each company. The submarine will reportedly cost approx. $4 million. You can register your interest in this submersible on the Aston Martin website.